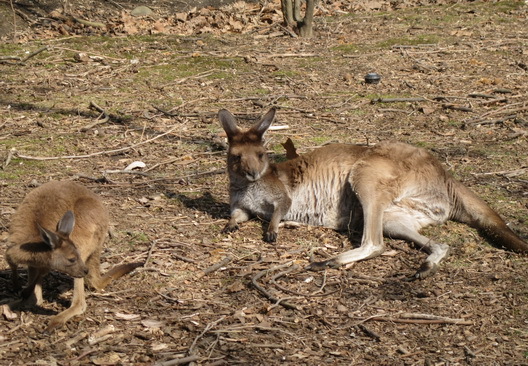 We checked out the joey at the Prospect Park Zoo whose the subject of a naming contest that runs through March 20. We found him busy eating whatever baby kangaroos are fed at the zoo and mom just kind of chilling out. Cute.